A family owned farm might not sound like an intimidating place, but don't let that fool you. This venue is made up of more than 1000 acres, complete with rich dense forest, rolling hills, and steep riverbanks that will test your technical ability. There's also an impressive quarry that's nearly 200 feet deep -- an obstacle in itself. Super: There’s nothing mediocre about this middle distance race. The Spartan Super offers the ideal blend between distance and speed. Offering racers a true athletic test. If you consider yourself a more seasoned athlete determined to push beyond excuses, you just might have the mettle for a Spartan Super. Serving up 24-29 Spartan Obstacles and 8-10 miles of rugged terrain, the Spartan Super spares no one. Developed as the second race in the Spartan Trifecta, the Super is where you prove to yourself you’ve got everything it takes to face the Beast. The event will be located at McCormick Farms, Spring Lake, NC, about an hour's drive south of Durham along US-1. As a Spartan Race Volunteer, you will ensure that our racers and spectators have an epic experience. Along with a sense of extreme pride and sheer joy from helping out a ton of people you've never met before, there's a lot to gain from becoming a Spartan Volunteer. Head over to https://www.spartan.com/en/about/volunteers to sign up. 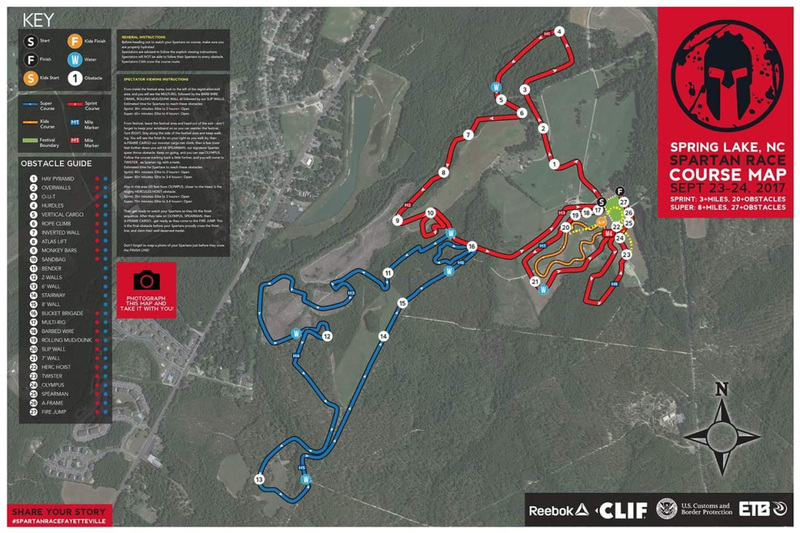 How was Spartan Race – Fayetteville North Carolina?